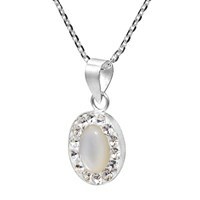 A bright orb glows in the forefront with dazzling rays of gleaming crystal beyond. 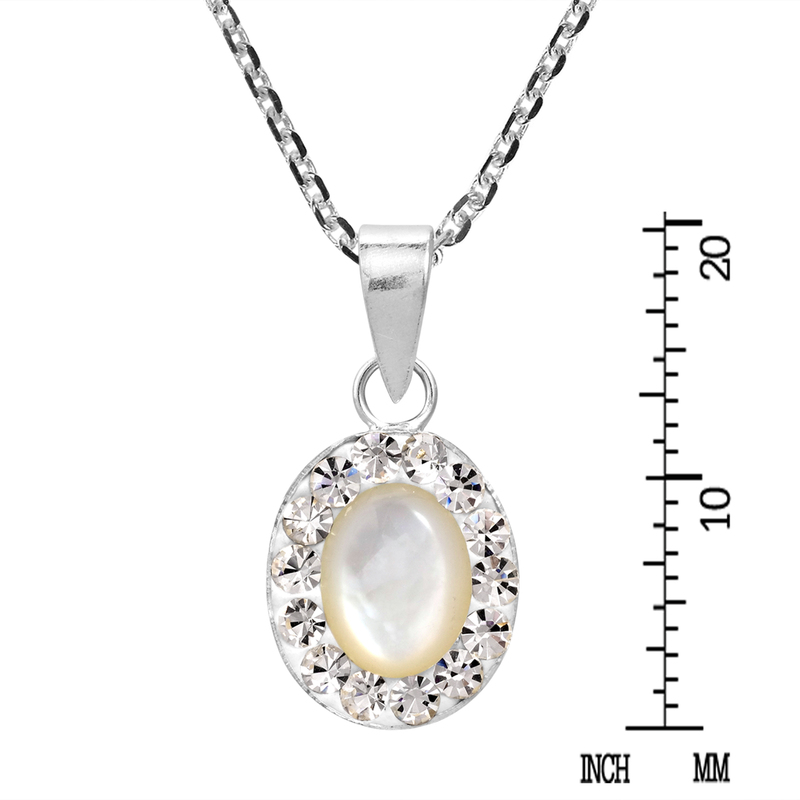 Made in Thailand by Khun Jai, this necklace set is entirely crafted by hand and features an elliptical Mother of Pearl centerpiece and bright faceted crystals upon a sterling silver .925 pendant. 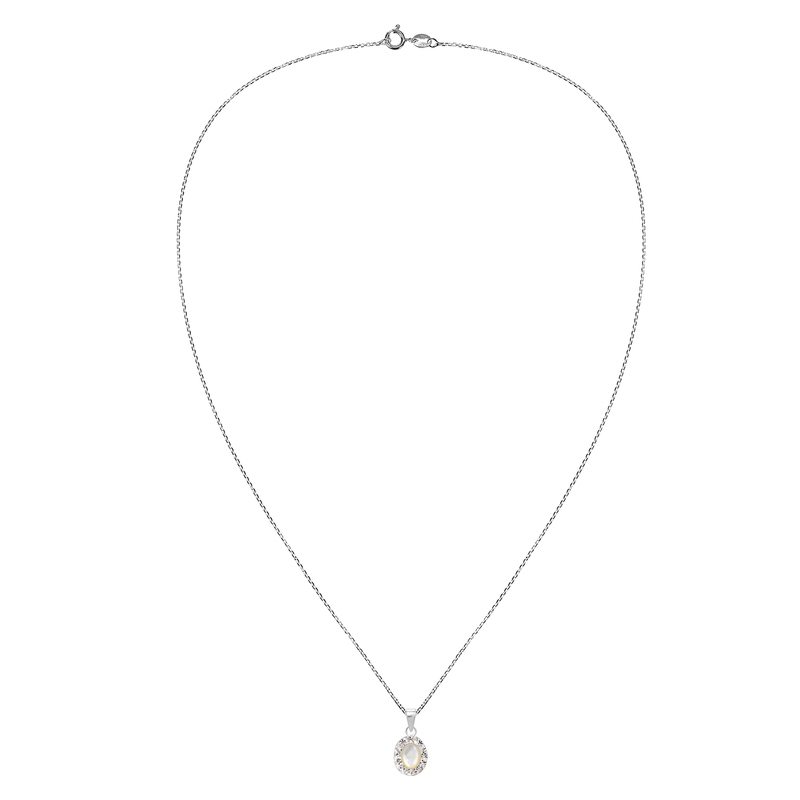 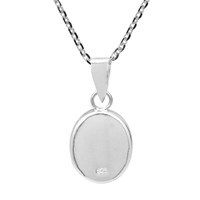 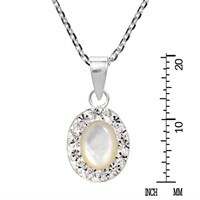 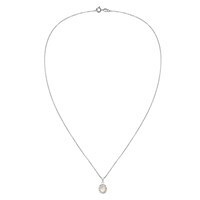 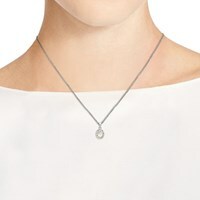 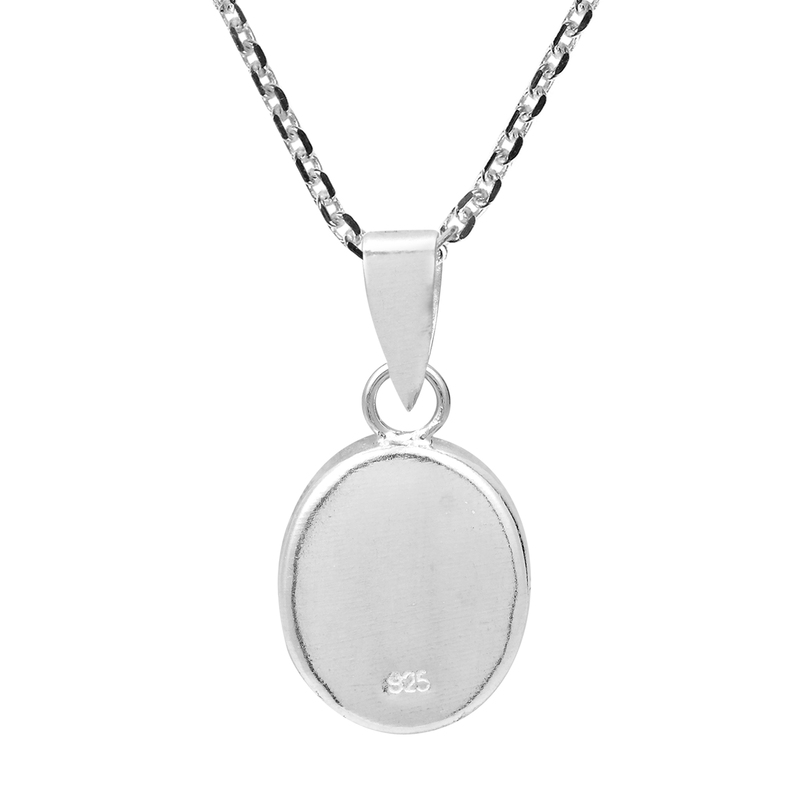 The necklace set includes an 18 in sterling silver cable chain with round spring clasp closure. 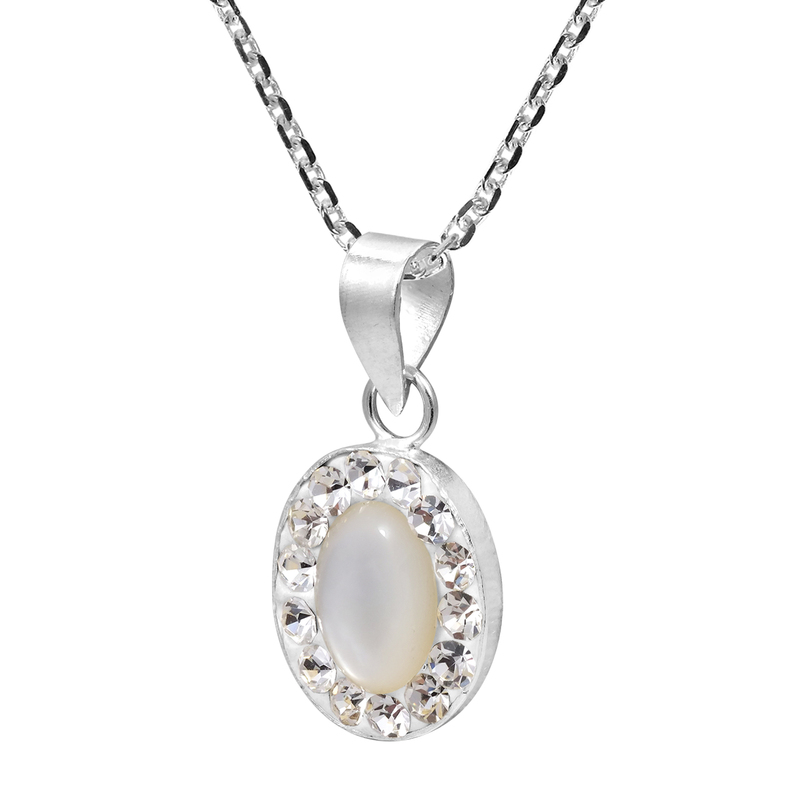 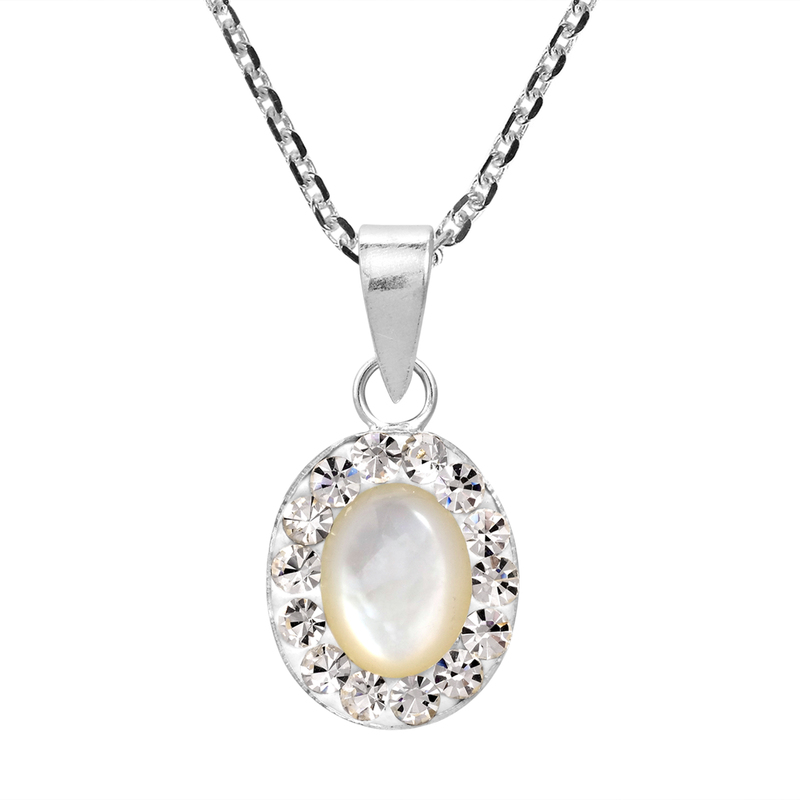 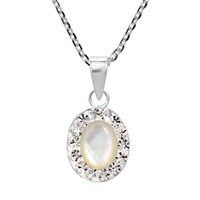 Add this to your jewelry collection and you'll always have a glamorous necklace with an elegance for any occasion.